Do you habitually grind your teeth at night? You might not even know it until the symptoms develop. Many of our Wilmington patients come to Smile Solutions by Emmi Dental Associates complaining of toothaches, jaw pain, and dental damage, only to learn that they have been suffering from a condition called bruxism. 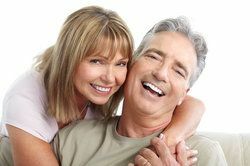 This condition can cause serious damage over time, but we are experienced in restorative dentistry techniques that reverse the effects of bruxism, and we provide teeth grinding treatments to help you maintain a healthy smile. Bruxism, more commonly known as teeth grinding, is a chronic condition characterized by a patient compulsively clenching and grinding his upper and lower jaws together. This usually happens while a patient is sleeping, and if no one has observed this behavior, the patient may have no idea that he or she suffers from the condition until other symptoms start to occur. Bruxism can arise from several factors. The most well known cause of teeth grinding is stress, which can be triggered by anything from a frustrating situation at work to an anxiety disorder. But it is not the only cause: teeth grinding can also be the result of crooked teeth or improper alignment, causing the jaw joints to work overtime to find a comfortable place to fit together and rest. You may not notice that you are grinding your teeth at night, but you may notice the symptoms. One of the most common side effects of chronic teeth grinding is chronic head or jaw pain from the pressure and friction of constant jaw movement. You may experience tension headaches, migraines, or temporomandibular joint (TMJ) pain. In addition to general head and jaw joint pain, chronic tooth grinding can also have very serious and permanent effects over the course of months or years if left untreated. Over time you may completely wear down the surfaces of your teeth, causing chips and fractures and even causing your teeth to loosen. If your teeth are excessively worn, you may require restorative treatment such as the placement of dental crowns. But that may not be the end of the issue if the bruxism is not treated. Teeth grinding can also cause permanent damage to crowns, bridges, and dentures, rendering expensive dental work ineffective. If you think that you may be suffering from the effects of bruxism, now is the time to discuss any concerns with a dental professional. Today, teeth grinding can be treated through techniques such as stress relief and custom fitted mouth guards worn at night. The mouth guards can realign your jaw and prevent your teeth from grinding against one another. Our team at Smile Solutions by Emmi Dental Associates also offers cosmetic and restorative dentistry to repair any damage caused by teeth grinding and restore your beautiful smile to full health. Contact our dental care office to schedule an appointment and find out what we can do to improve your dental health.